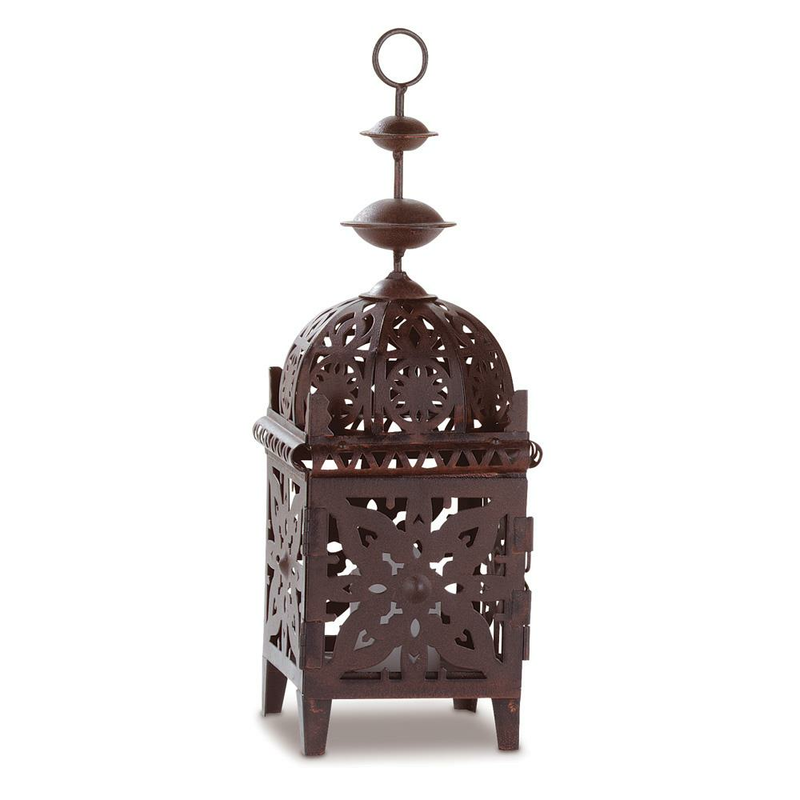 Intricate floral cutout design in rustic brown adds fresh appeal to this Moroccan style lantern. 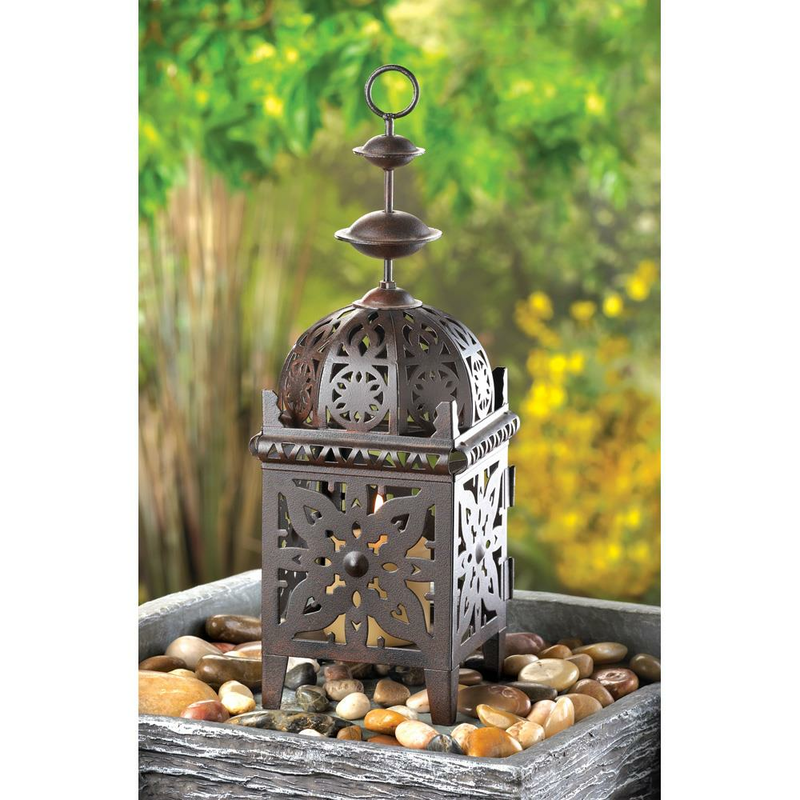 Simply add any candle of your choice and enjoy the exotic ray of light. Weight	0.6 pounds. 3.75" x 3.75" x 11.5". Metal. UPC Number:849179000387.